The new hygrometer EE02 is the combination of high accuracy measurement technology with modern design. The relative humidity and temperature values with trend indication are alternating on the large display. High quality E+E sensor technology and state of the art microprocessor based electronics result in highest accuracy and long term stability. The very low power consumption allows battery operation and independence from external power supply. The standard batteries, replaceable by the user, have a life time about 5 years. The modern housing concept makes the wall mounting very easy. EE02 can be used as bench mount as well, the free standing kit is included in the scope of supply. 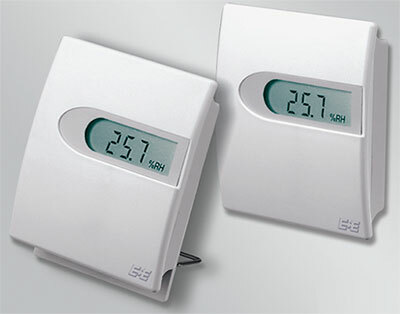 EE02 is available upon request as OEM thermo-hygrometer with your company logo.